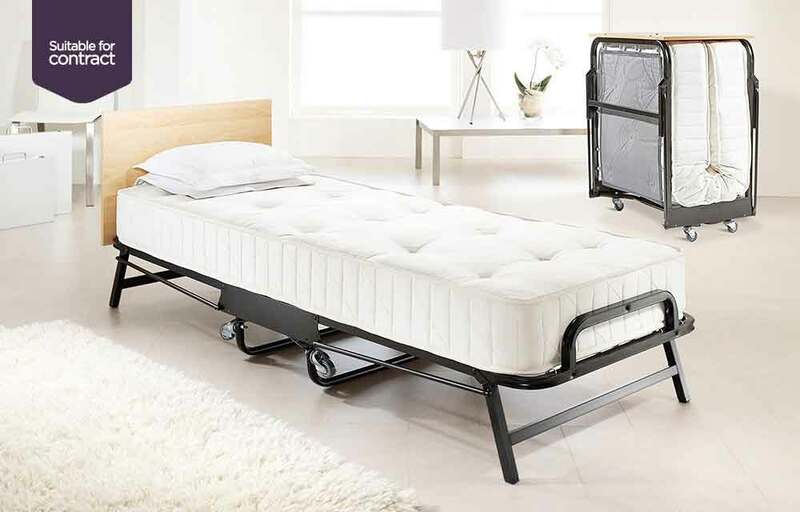 Specifically designed for regular contract use, this robust Jay-Be® folding bed achieves higher British, European and North American safety standards than normal domestic beds. Built to last, the Crown is a reliable solution for Guest Houses, Hotels and other contract environments. The J-Tex™ base is made from PVC coated woven polyester, a specially engineered technical fabric designed to be stretch resistant and offer long term durability. 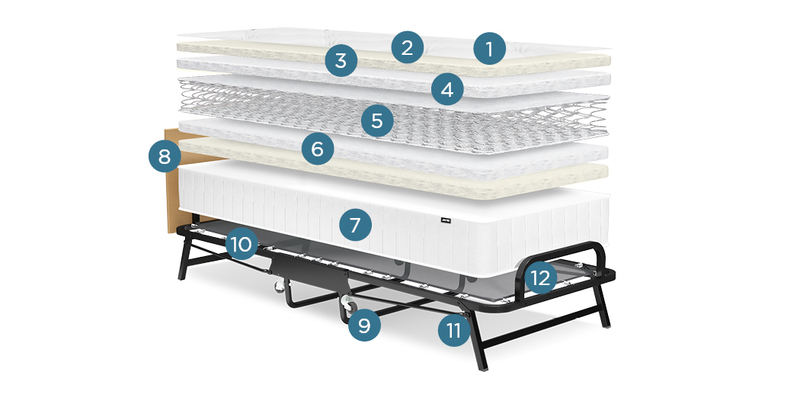 Suspended using high-tension springs, the J-Tex™ sprung base system is extremely strong and independently tested and proven to perform as well as regular permanent beds. The Crown's deep sprung mattress is tailored in a high-performance fabric and topped with wool and cotton blend comfort layers. Wool is a natural 'smart' fibre that continually responds to changes in local humidity. Its natural ability to absorb and release moisture helps to keep you and your mattress dry and your body temperature constant. This Jay-Be® guest bed also achieves higher British, European and North American safety standards than normal domestic beds making it suitable for the extra demands of contract use. The Crown Premier's sprung mattress is topped with a deep comfort layer of wool, cotton and polyester and is tailored in a high-specification fabric for ultimate performance and durability. This Jay-Be® guest bed also achieves higher British, European and North American safety standards than normal domestic beds, making it suitable for the extra demands of contract use.